Common chickweed can be a persistent weed in the lawn, especially in naturally grown lawns where weed killer is not used due to personal preference or by law—like with weed-n-feed regulations. Larger broadleaf weeds can be pulled out by hand or even spot sprayed with a natural non-selective herbicide, but the growth habit of chickweed is such that it easily intermingles with the lawn, and with its smaller sized leaves, it can be a tricky weed to control with natural products alone. Common chickweed (Stellaria media) is a cool season annual plant native to Europe but found just about everywhere in the world, including the American lawn. 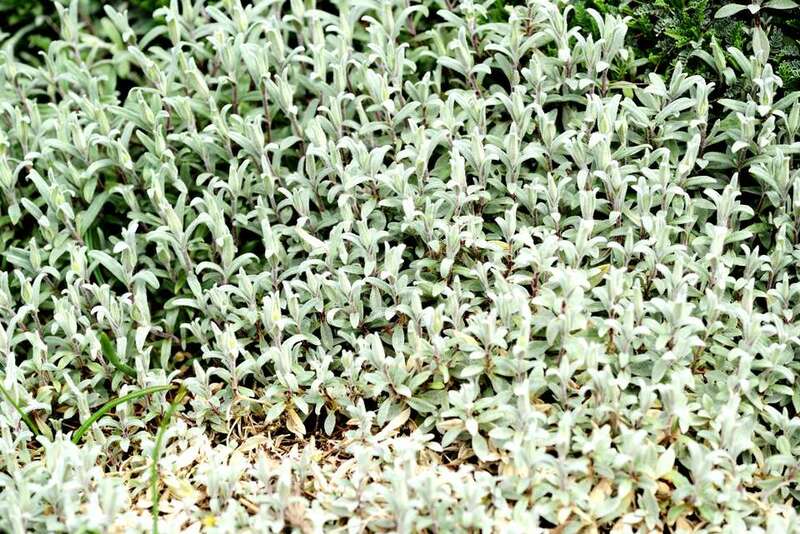 It has small succulent leaves, small white flowers, and grows low to the ground in dense mats. Mouse-ear Chickweed is very similar to common chickweed in appearance and growth habit; however, this species is densely covered with hairs. Chickweed is adaptable to all conditions and soil types with a preference for moist, well-watered soil. Although chickweed is an annual, it grows all season long and can go from flower to seed to germination in as little as five weeks. Seed pods follow soon after the flowering period and one plant can produce up to 800 seeds. Chickweed can quickly spread from new roots emerging from nodes on the stems, making it an extremely prolific and hardy weed which can be a nuisance on a lawn. It is possible to kill chickweed conventionally with weed-n-feed products or your run-of-the-mill broadleaf herbicide containing 2,4-D, mecoprop, and dicamba. They are nasty chemicals for sure, so they should be used sparingly using spot spraying rather than broadcasting over the entire lawn in the form of a weed-n-feed product. In fact, weed-n-feed products are banned in Canada for their indiscriminate nature and method of application. If chemical herbicides are going to be used to treat chickweed, be sure to follow all directions on the label with special attention to application rates and personal protective equipment (PPE). A number of measures can be taken to control chickweed safely and naturally. If the chickweed is isolated or if damage to turf has been deemed acceptable, a natural weed killer could be used, like a vinegar solution, boiling water, or other non-selective natural herbicide. These solutions are non-selective, though, and will kill any grass it happens to come in contact with. Chickweed can also, with some effort, be pulled out manually, preferably before flowering and going to seed. Rake the matted weeds vigorously in the spring to raise the runners and then mowing the lawn short can help keep. At the very least the exposed runners will make it easier to pull the weed. Chickweed is a shallow-rooted plant and pulls out with little effort. Long-term control of chickweed is best achieved with a solid lawn care program. Chickweed loves wet soil—so try to keep the soil a little on the dry side, it's also better for the grass. Use new and improved grass seed varieties and overseed thinning grass to avoid chickweed infestations and to keep the lawn thriving. Mow the lawn as high as possible to allow the grass to outcompete and crowd out any emerging weed seedlings. The presence of chickweed in your lawn is not the end of the world, though, right? Using an IPM (Integrated Pest Management) program, establish a threshold for how much chickweed is too much. A healthy lawn can withstand a certain amount of weed presence without affecting the overall aesthetic of the lawn. Animals love foraging on chickweed, and the weeds are commonly eaten by everything, including pet birds and chickens, pigs, rabbits, horses, and cows. Chickweed is also regarded by herbalists as an essential plant for many topical ointments and salves.